Emma Cooney, Grace Bernardi and Kate Fiola score in the second half to help the perennial title contenders make it five shutouts wins in a row. Feelings of euphoria, appreciation and success often have surrounded the Massapequa girls soccer team in recent years. One feeling that rarely comes around is that of being overlooked. 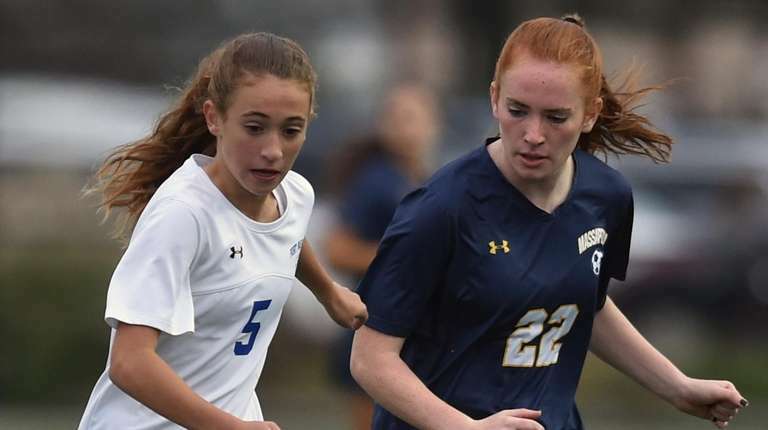 After a scoreless first half Monday night, Massapequa tallied three goals in a 25-minute span in the second half to defeat Port Washington, 3-0, in a Nassau AA-I girls soccer match at Burns Park in Massapequa. After starting the season 0-1-3, the Chiefs have held teams to just one goal over the last nine games, improving to 8-1-4 overall and 8-1-1 in the conference. Massapequa has advanced to play in the state championships in Cortland each of the last five seasons. The Chiefs are determined to extend that streak to six. 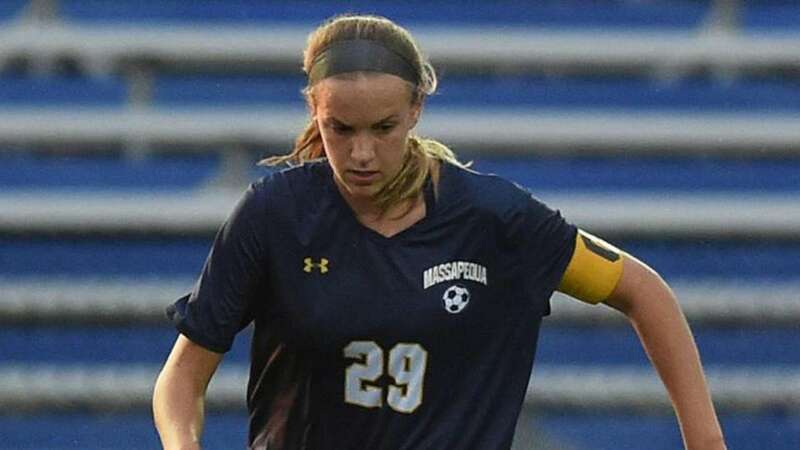 On Monday it was Emma Cooney who opened the scoring, executing a give-and-go with Kayla Mushorn and finding the back of the net in the 47th minute to give Massapequa a 1-0 lead over Port Washington (1-8-1). Fiola added a goal in the 61st minute and Bernardi scored off an assist from Josephine Alliano in the 72nd minute. The backline, featuring Kirstyn Kilmeade, Elisabeth Hingher, Julia Iannarelli and Brenna Brown, along with the goalkeeping combination of Erin Kelly and Lindsey Jolly, had another strong game in the Chiefs’ fifth straight shutout.